Radical Self-Expression Summit provides a space for women and men to explore how the practices of self-love and self-expression can benefit their communities. We are delighted to announce a unique event created to explore and celebrate the contributions of 9 extraordinary Atlanta women entrepreneurs. 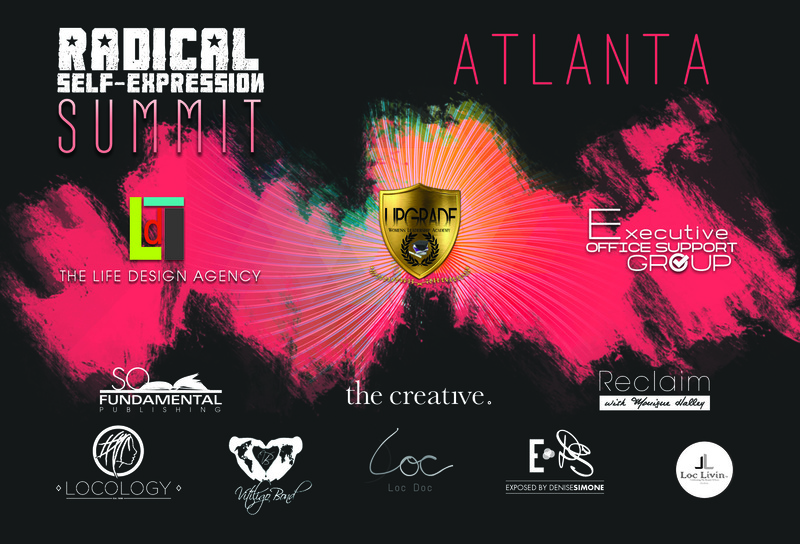 This June 14 wellness-focused summit will bring storytelling, dialogue, visual art, music, and fashion to Atlanta to recognize positive impact among specific women leaders. …among other brilliant Lightworkers whose commitment to wellness have significantly enhanced the quality of life for thousands of women and men. The honorees and their work are the event’s focal points, and the poetry and prose from the spiritual novel, Radical Self-Expression Manifesto will underscore the evening via book readings and the sharing of deep inquiry and meaningful dialogue. Additionally, our guests will enjoy fashion and art by way of our “mini-fashion shows” embedded throughout the event. The shows will highlight 9 “statement T-shirt” designs that complement the energy of Radical Self-Expression. Our models will be provided through our partnership with Atlanta-based, Vitiligo Bond, Inc, a non-profit organization that supports awareness and treatment for the skin condition made known by Pop icon, Michael Jackson. Our partnership with Vitiligo Bond is ideal as their purpose is to foster self-love, self-confidence, and self-expression among those living with Vitiligo and those looking to support them. This partnership also helps our In-Kind Donations to be tax-deductible. 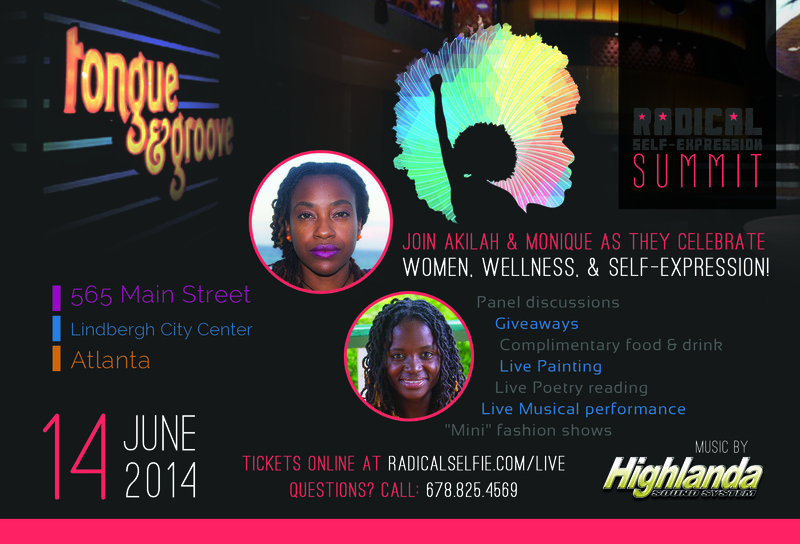 Learn more about Radical Self-Expression Summit at radicalselfie.com/live. “Ethiopian Liberation” By Tasha T from her “Real Talk” Album.